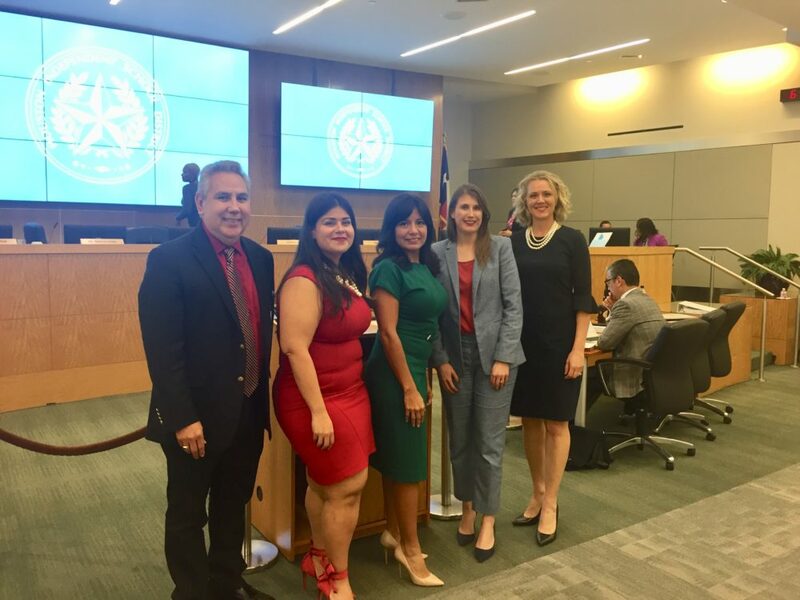 The HISD board of trustees elected new officers for 2019. The state’s conservator over the Houston school district has ordered the board and administration to suspend its search for a new superintendent, citing the ongoing investigation into the board’s governance. “I am directing the Houston ISD Board of Trustees to take no further action regarding the selection of a new Superintendent until the Board receives written authorization from the Conservator to resume the search activities,” Delaney wrote. 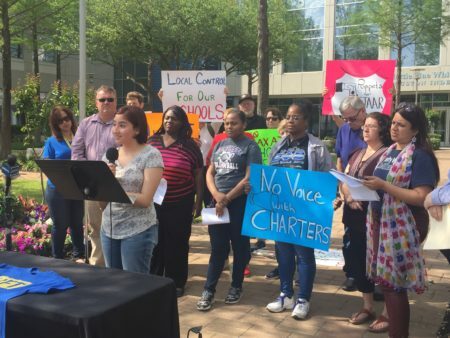 Several Houston school board members told reporters late Monday that they were disappointed with the order and questioned its timing. Board President Diana Dávila said that the board was scheduled to hold final interviews with candidates this week when they got the notice. 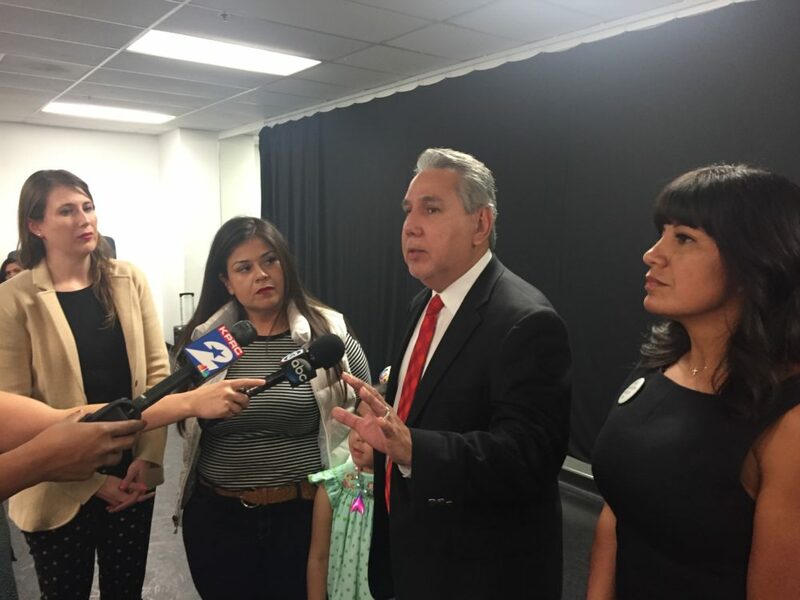 What’s more, Dávila revealed that right before the board received the order to suspend the search, they were notified that the Texas Education Agency is expanding its investigation into HISD, to include its business practices in procurement. Earlier in January, state administrators launched a special investigation to examine if Houston school board members violated the state’s open meetings laws and other governance issues. In the wake of that probe, several school board members wanted to delay the search until the investigation finished, saying they were concerned about the quality of candidates and the threat of a state takeover. “I don’t see where it would logically make sense to anyone to finish a search or conduct a search under the circumstances that we are under,” Trustee Rhonda Skillern-Jones told News 88.7 earlier this year. But in February, the majority of the board decided to continue, in a 5-4 vote. The HISD board held meetings earlier this year to gather community input on the next leader for the state’s largest school district and had hoped to have a finalist for superintendent by April. But now the state conservator’s order overrules that, putting a pause on the search until she gives the OK. Reaction to the news among board members has been divided. Trustee Jolanda Jones celebrated the search suspension on social media with the #IBelieveinMiracles. Jones wrote that several of her colleagues were “blindsided” by the TEA. “Well, I say, karma is a u-know-what! Y’all blind sided us when u voted down the budget! Y’all blind sided us when u unlawfully fired Superintendent Lathan! At almost every meeting there’s a blind side by y’all that is not good 4 kids!!!!! Stop whining about behavior u have used on a regular basis 4 almost a year!” Jones wrote on Facebook. Trustees Holly Maria Flynn Vilaseca, Elizabeth Santos, Sergio Lira and Diana Dávila told reporters that they are disappointed with the state conservator’s decision but will accept it. 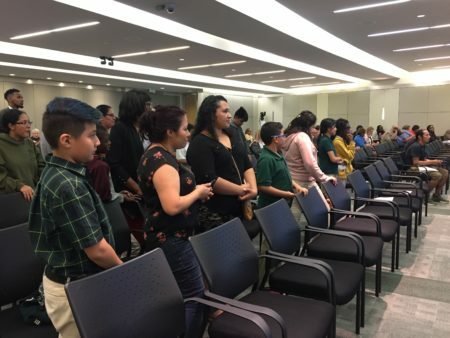 However, Trustee Elizabeth Santos along with Dávila, Sergio Lira and Holly Maria Flynn Vilaseca said that the suspension detracts from one of the board’s key roles — to hire a top administrator for the district. 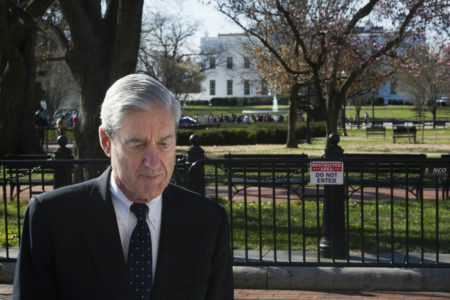 “I am really concerned with not just the timing, but also with the lack of transparency surrounding this. If (Commissioner) Mike Morath had chosen to halt the superintendent search 368 days ago, then maybe it would be a little more palatable, but it has not happened,” Santos said, citing how long it’s been since the board has been without a permanent leader. “Our number one job as a school board is to hire an effective superintendent that is worthy of our students,” Santos added. Houston schools haven’t had a permanent superintendent for about a year, when former Superintendent Richard Carranza abruptly resigned half-way into his contract to lead New York City public schools. Since then, Grenita Lathan has served as interim superintendent, but the board abruptly tried to fire her in October and replace her with a former HISD superintendent. She was quickly reinstated after public outcry and her firing helped trigger the state probe. submitting monthly reports and any special reports requested by TEA. Dávila said that it was hard to support the decision but board members have to accept what the commissioner has told them to do. “Accept it? Personally, no, it’s very hard. 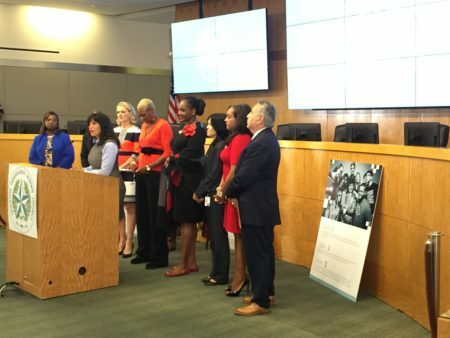 Again, only because we’ve committed to the Houstonians of this city that we would be doing this search and now we’ve been told we can’t announce or we can’t hire a superintendent — a permanent superintendent — to lead this district,” she said.